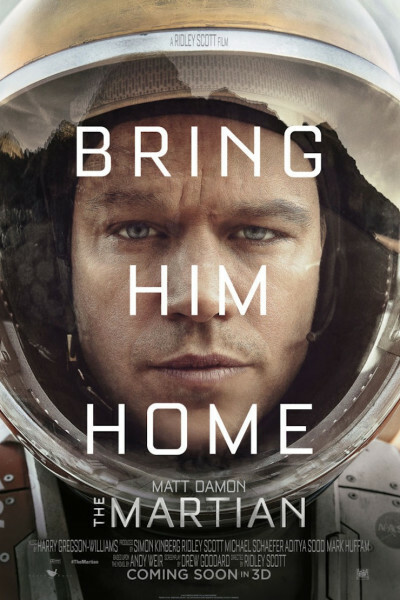 The Martian is Interstellar 2, but better. Way better. And that's saying something since, admittedly, I absolutely loved Interstellar! I know, all too well, that Interstellar was not for everyone, but being a father, I absolutely loved it, primarily because—at its heart—it was a love story about a father striving to do what was right, regardless the toll on his little girl. Do you remember in the 90s when there occurred that slew of procedural TV shows, many of which were legal dramas, and it led to an uptick in law school applications? Or, just 2-3 years later, when the same happened due to medical dramas? Or, years prior, when Hill Street Blues ruled the airwaves, and being a police officer was just about the highest aspiration a young boy (or girl) could have? That's the way I felt watching The Martian. It's the sort of movie that is so good, so profound, so teamy and collaborative and problem-solvey and mission-driven and isolating and expansive and propulsive that one thinks to himself, "Wow, if I was fourteen years old and absolutely loved math and science and space, I might very well devote the next decade or two of my life to eventually apply for a job at NASA." It's that good, and that sort of film. As one of the main characters says, "To be part of something important, beautiful, and bigger than me." Now, admittedly, it's not a perfect film. It's imperfect on a number of fleeting occasions, periodically striking the wrong chord, or hitting a flat note, or feeling a tad long (and I love long movies; remember Reds, which came with an intermission? Or The Godfather?). And there are a few lines that are unnecessarily cocky, or crass, or self-indulgent, or too this, that, or the other thing. And Damon's skinny body-double looks straight out of Captain America and is lazily FX'd, and the ending could have been AMAZING, not just GREAT. Etcetera, etcetera, etcetera. But despite these foibles, which are so minor as to be entirely inconsequential, the movie brought me to strong tears on three occasions. I was enraptured virtually the entire time, which is saying a lot considering it's a 2 hour and 24 minute production. I was proud for Ridley Scott, proud for the writers, proud for the producers, proud for the cast, proud for the cinematography team, proud for the individuals who selected the score and soundtrack, heck, even proud for the United States and NASA and others involved in the space program, whatever their role and wherever they may be! I was thrilled to see such ingenuity, such determination and perseverance and problem solving on a grand scale, yet intimately delivered in a Hab(-itation) capsule and series of Mars-based mouse mazes. The Martian accomplishes that wonderfully elusive feat of being equally epic yet intimate, grand yet granular. I won't give away any more than this: it's a lovely film, methodically conceived and assembled, and beautifully executed. I suspect very strongly that you'll enjoy the heck out of it, that even your kids will, and that it will leave you with much to ponder on the car ride home. This is the sort of movie that keeps me going to theaters, and I hope you'll agree it's worth the trip and those concession prices. Just make sure you hit the restroom before it begins, because you're gonna be in space for a long while, and you won't wanna miss a single minute once you settle into that pleather seat and begin imbibing.